The writing program at the Colorado Reading Center provides students with a new and stress free way for the emerging writer to complete any written language task or assignment. We chose the program Framing Your Thoughts to anchor the writing program because it offers our students a clear and logical process for learning how to write sentences, paragraphs and essays while mastering basic grammar in an engaging and even fun way. All of the instruction in Framing Your Thoughts is conducted using multi-sensory teaching techniques including visual, auditory and kinesthetic elements, which combine to reinforce previously learned material and enhance the quick acquisition of new elements. Parts of speech in English are assigned easy logical names for their distinct purpose in sentences and each has a simple visual symbol to recall the grammar element. Students begin by writing simple “bare bones” sentences and progress quickly into more sophisticated sentences by expanding their written expression in four directions. The Framing Your Thoughts program encourages students to always be considering the essential questions needing answers which are where, how, when and most importantly the why about any chosen topic they are writing about, much like a journalist. The program builds sequentially, adding logical and useful grammar elements into the students writing “toolbox” so that students can learn to compose, revise, and enhance simple, compound, and complex sentences. It provides a routine framework for planning, outlining and composing for various academic or personal purposes. It begins with no assumptions about the student writer’s prior knowledge, but moves briskly to give students a since of purpose and control over their written language output. 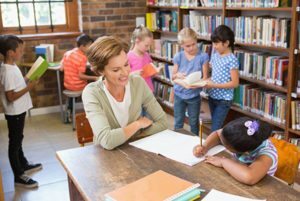 The Colorado Reading Center’s writing program provides students the tools they need to be independent writers able to plan and compose written work for various audiences and purposes. The goal for the writing student is to be able to complete written assignments successfully without distress and with confidence. Because students receive instantaneous and positive feedback, students can stay on track throughout the program. The program is paced to keep students moving forward toward their goals as writers. We have found students unanimously report that it is much better and easier than traditional grammar instruction. Most importantly, our students feel it is immediately useful to them as writers who are composing more regularly for science and social studies classes, as well as their English classes.